The effect they have always depends, but no protest has ever failed to broaden awareness. Rights are won and lost, they are not typically given away. Protests and mass demonstrations may be swift, protracted, successful or futile. But they always have the potential to create social change. The status quo in the vast majority of countries is rooted upon conservative, patriarchal, hetero-normative pillars that discriminate against women by design. What form that bias comes in differs from country to country. 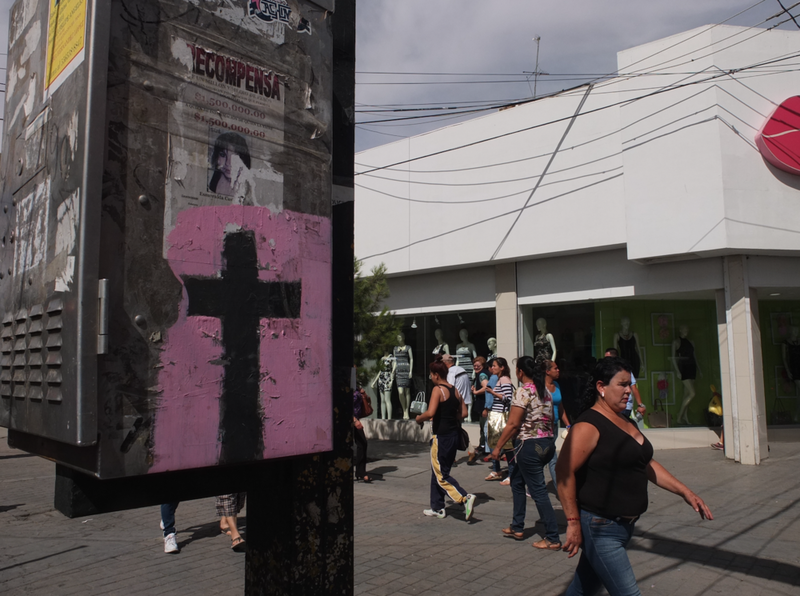 It may be an absence of affordable childcare, a gender pay gap or underrepresentation in decision-making bodies, or, as in the case of Juarez, Mexico, it is femicide: the killing of a woman by a man on account of her gender. The idea of protest transcends art, politics, direct action, debate and academia to bring a broad spectrum of people for a common cause. That may be signing a petition, writing to your representative, bending on one knee, raising a fist, drawing something or taking the streets to march. Obviously, not every act of protest is enough to bring down a government, like the street protests in Egypt, Tunisia and Ukraine earlier this decade, yet they all raise awareness around perceived injustices. 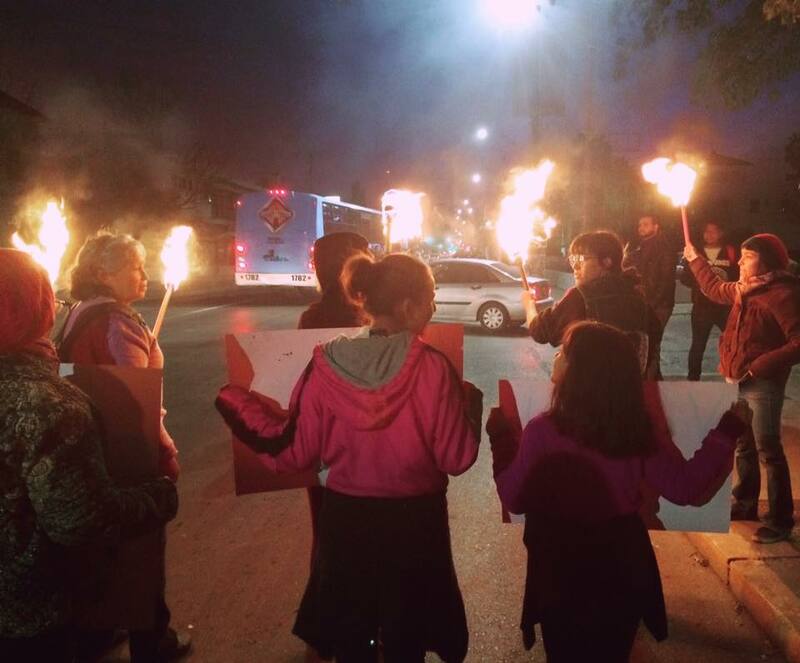 In Juarez, families, activists and local organizations have for decades, fought an untiring fight for justice and change. No effort has been able to stop the system behind the murders of the women and the violence towards the people, but the fight for justice has been very important, connecting people, helping setting up systems of local protection, arranged searches for the loved ones, established places to come and learn about human rights, provided social help. Their protests and voices have informed communities and countries outside Mexico, helping put a pressure on the Mexican government to take responsibility and stop the violence. The families and activists work have not been easy or without danger. Activists have been murdered and many have been forced to move, some seeking asylium in the US. 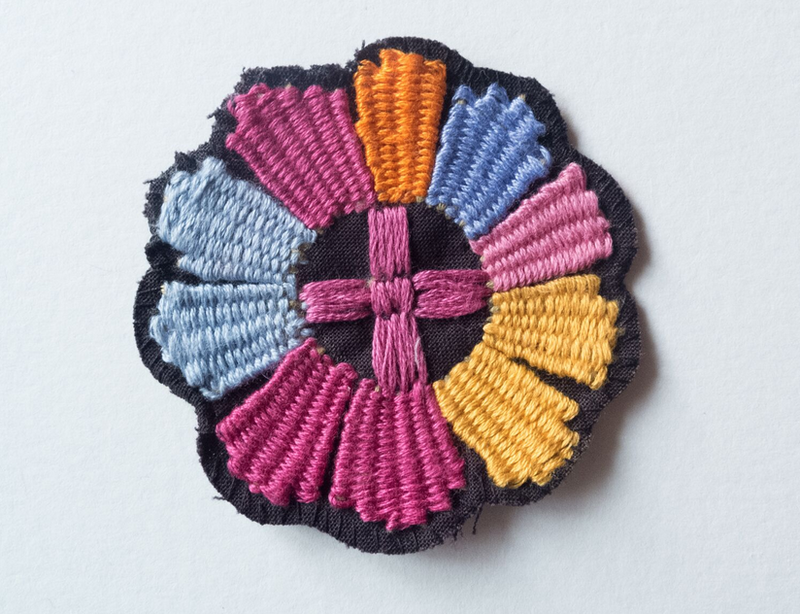 NI EN MORE honors this fight by making unique handembroidered protest badges, formed as a flower with a pink cross in the middle. Each is made by participants in workshops we arrange to raise awareness on how to deminish violence towards women. The badge is numbered and comes with each of our garments, pluss are sold separately. 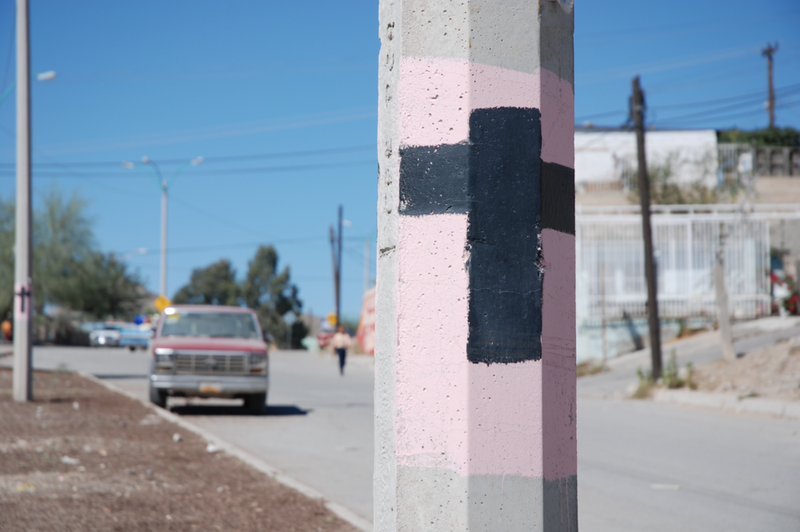 The pink cross in the middle of the badge honors the fight for justice in Juarez, all over the city, on every light pole there is crosses painted. The action startet in 1996 and is still going on. The flower petals symbolizes the hope created by economical independence and refers to NI EN MOREs use of flowers to color our garments. 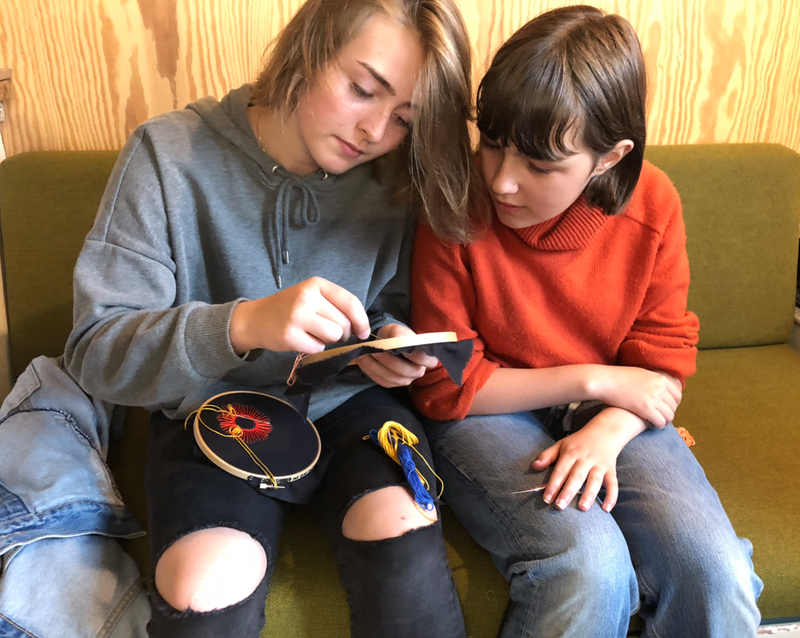 Small-scale initiatives, equally, can have a massive upward impact on society once the levers of change are set in motion. Quite often no particular argument needs to be won; it is simply a question of spreading the word and allowing word of mouth to set off a domino effect of consciousness. Like wearing a NI EN MORE garment and our protest badge flower.